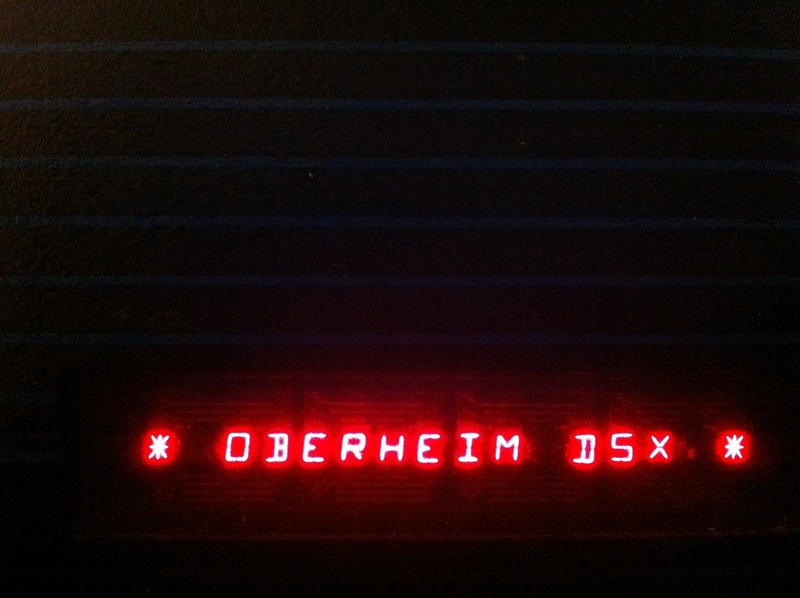 So i finally organized the Oberheim DSX photos i’ve been intending to post for a while. It’s a pretty slick design for a Z80 world. 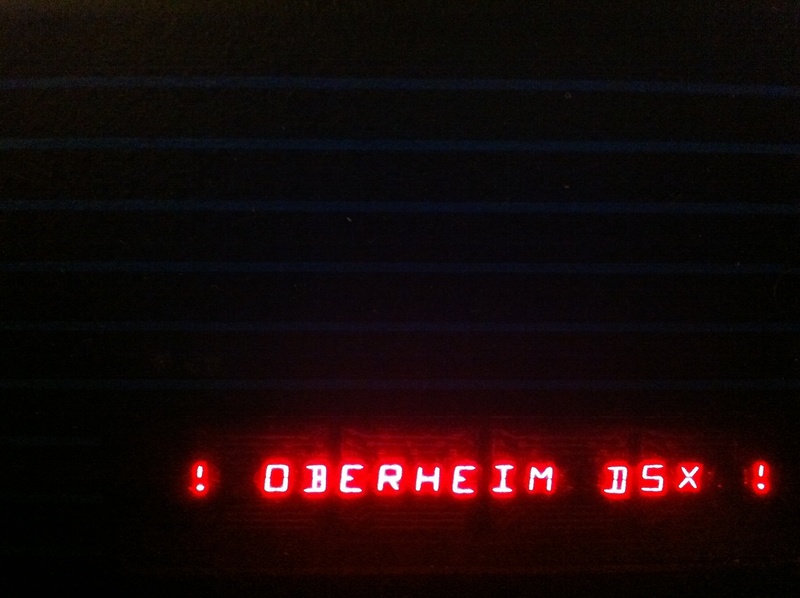 And it’s a nice size as well as it matches up perfectly with all the other Oberheim kits of the era. She is so purdy! Safari blanket not included! This Board houses the sequencer interface. The red DIP switches in the upper left are gate polarity settings for the CV outs. This is the CPU / Memory / IO board. This DSX has the Electron Gate CPU board which replaces the old memory chips ( see empty slots to the left ) and eliminates the battery! You can see the CV and Gate IO on the bottom. To the far left there is a computer cable that connects to the OB-8. Also there’s an unused expansion port that was probably going to have MIDI or connection to an alternate controller. With no keyboard connected the DSX shows ( ! ). I have the DSX clocked to a Garfield Electronics Dr. Click II ( Thats the red cable connected to the clock in within the gallery! ) which is a topic for another post! I’ve been meaning to post these for a while! The OB 8 is the main instrument i play when making music in the cave. 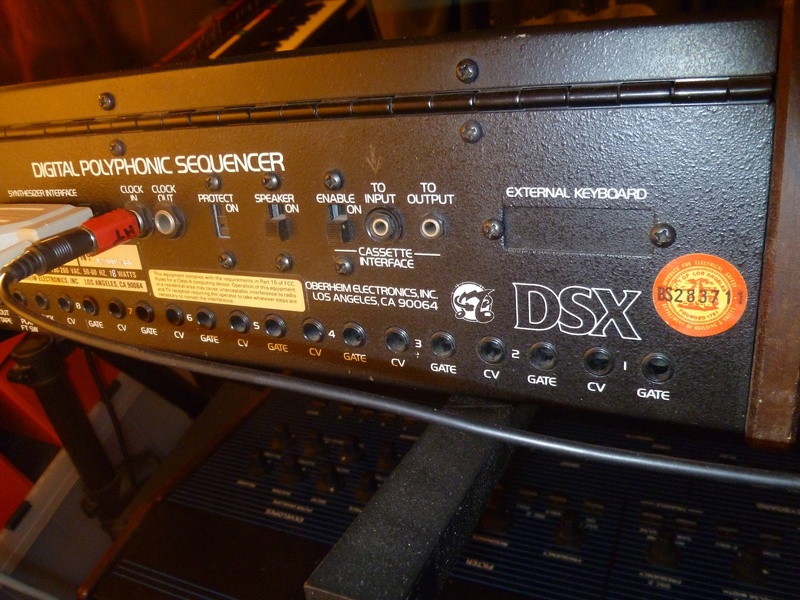 It is interfaced with the DSX and they together form the basis for all my sequences. The OB is usually pretty happy but once in a while it goes haywire and loses it’s mind for a minute. I’ve found that if i change the keyboard mode from whole to split to double and then retune the voice boards it comes back on line pretty swiftly. It’s definitely an electrical connection or solder joint somewhere. I did a bunch of touching up when we took these pics and it’s been much happier since. i never did locate one ‘ bad spot ‘ but i poked and prodded until i was pretty sure it is somewhere on the top voice board in the control section to the left. Pics mostly by J-poo! The OB-8 ( much like the previous Oberheims ) was a work in progress. 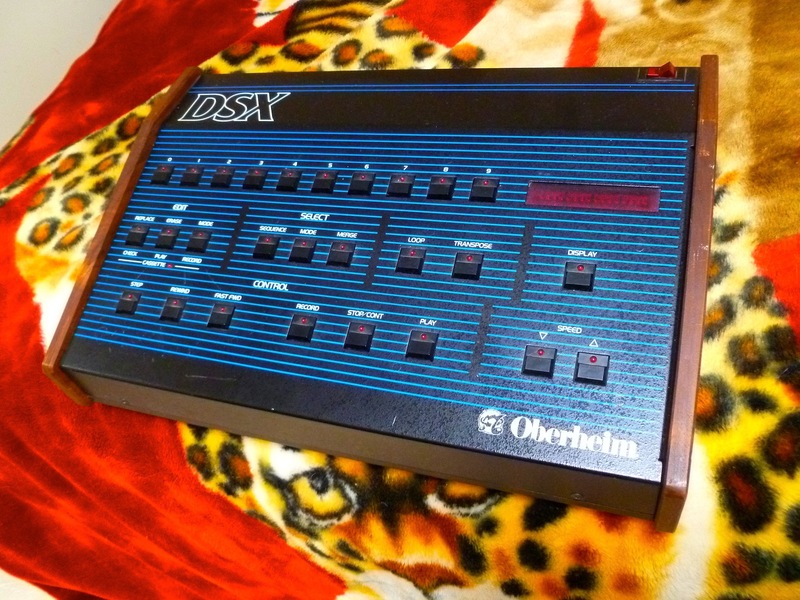 Many didn’t have factory midi or were retrofitted ( often midi I/O was cut into the left wooden side panel. Later versions had a different silk screen on the front that denoted two sets of control features referred to as ‘page two’. This one has factory midi but no page two screen. The voice two boards were configured with 4 voices each and communicated to one central CPU. The boards were designated in an upper and lower fashion much like Roland’s polys of the era. Each board could have a unique patch for sophisticated layering and more dense tonalities! The left side wood panel had 8 pots that were used to pan each voice left to right. This seems strange at first but can be very useful. It allows you to have two patches at one time mapped to different outputs or lets the two cards be moderately panned or hard panned for a wide thick stereo spread with one or two patches. they are stacked! 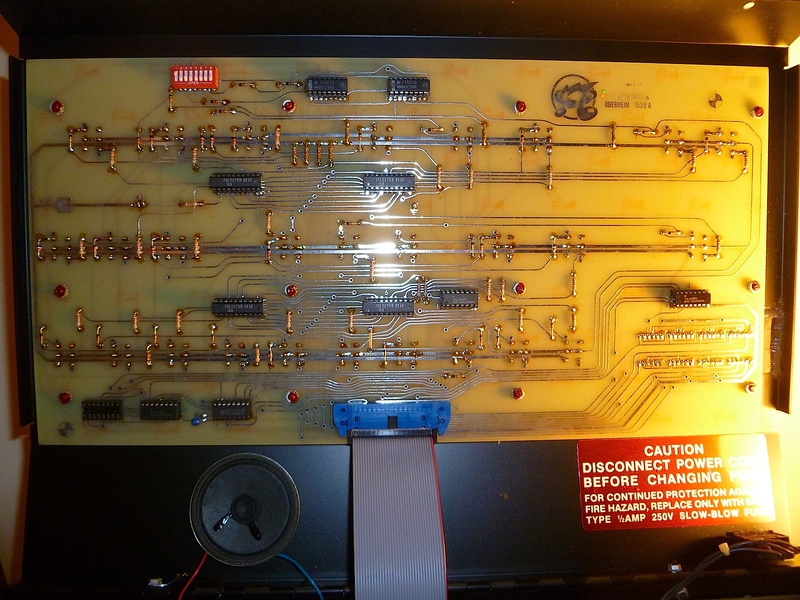 ( 4 voices per board ) the left side is control interface and the right is split into 4 sections ( one per voice ) with a mixer at the end. 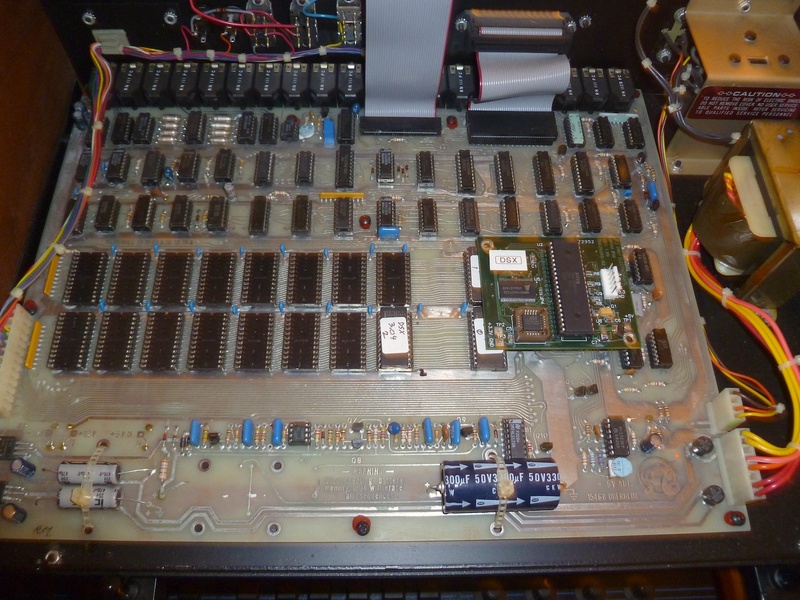 The Processor board interfaces the CPU, bender board, and the surface controls with the voice cards. Pretty modular for a poly! Control section close up. maybe this OB’s name should be Dale! The original OB Midi Board is a huge blank green sea! The smaller modern one is a daughter board made by Paul at Electron Gate. It adds Static Ram to the OB to avoid batteries! Well, it’s early but i may have found my personal fave ‘ album of the year ‘ already! They do for Doris Norton what Kraftwerk did for Germany. taking all the robot angularity, quirk, and synth pomp and focusing it into a perfectly honed soundtrack to my life. This album was produced by Hideki Matsutake. He was a computer programmer and considered the ‘4th Beatle’ for YMO ( Yellow Magic Orchestra ) in the 70’s – 80’s. Categories Awesome!, Hope, Love, music, Other Music we Like! I don’t know a lot about these peeps. They are awesomely cut from the same material that Attitude and other robot funk music between 1980-1983 were cut. They are more difficult to research than most. With a name like Gift Of Dreams there’s no easy way to google them! Categories Awesome!, Humor, Love, music, Other Music we Like!